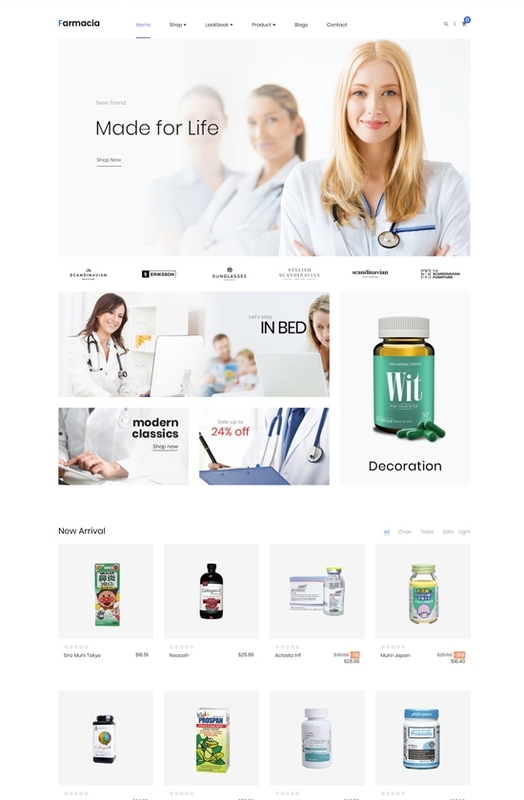 Leo Farmacia - Medical and Healthcare is a modern and minimal Prestashop theme for any drug store, medical store, healthcare, pharmacy website, clinic, etc, built on the best Prestashop Framework, Ap Pagebuilder module and new technologies. 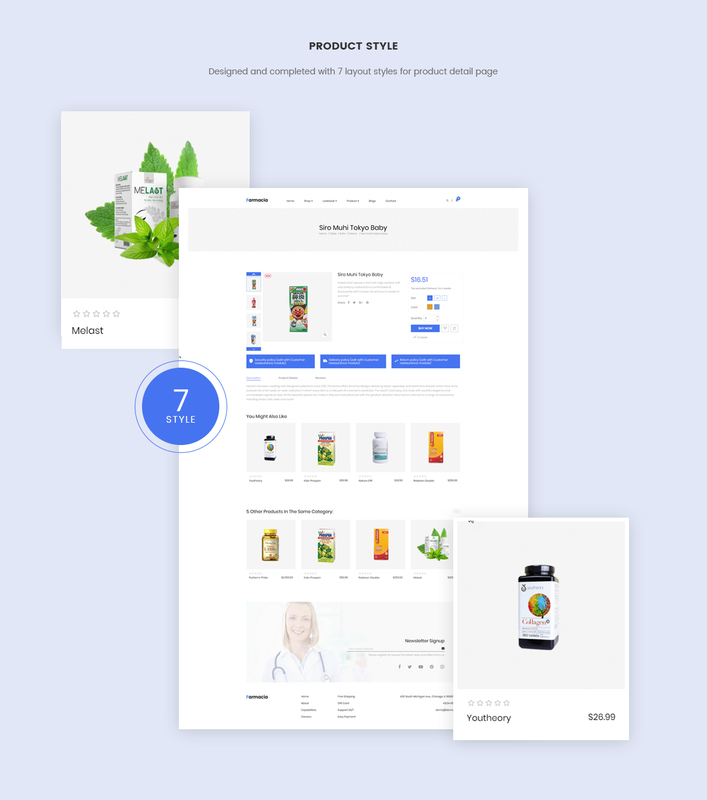 Leo Farmacia comes with an elegant look, flexible layout system, perfect color combination to present medical products or items in the smart ways. 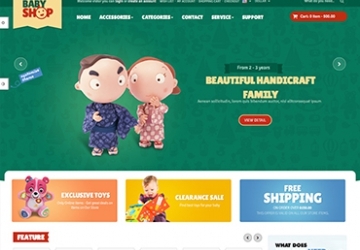 This responsive Prestashop 1.7 theme fits perfectly on various screen sizes. 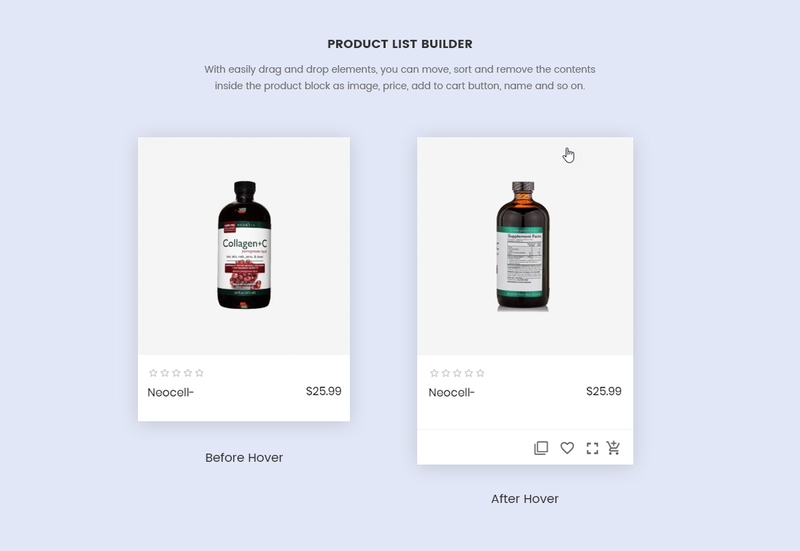 Leo Farmacia is outstanding with the powerful mega menu at the top center of the homepage, where you can insert numerous content like text, images, videos for categories or subcategories. You can display the best of your drug store on the large slideshow or banners. 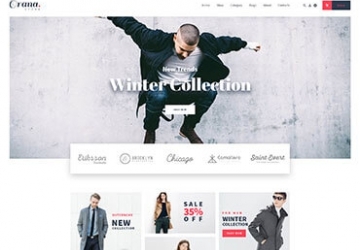 Products are not only equipped with user facilities to support the purchase of your customers like Preview, Add to Wishlist, Add to Compare, Add to Cart, Fly cart, but only added with rating stars, which will get you to know how your clients like your products so that you can have a suitable marketing campaign for your online store. 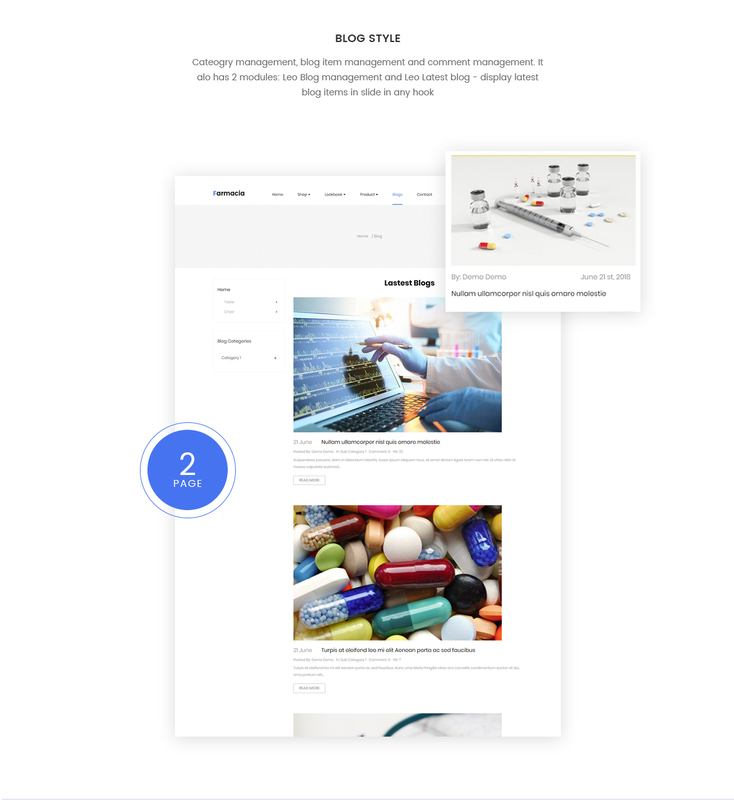 Needless a solution from the third party, Leo Farmacia integrated with Leo Blog Prestashop module with the latest posts shown right at the homepage for better SEO. 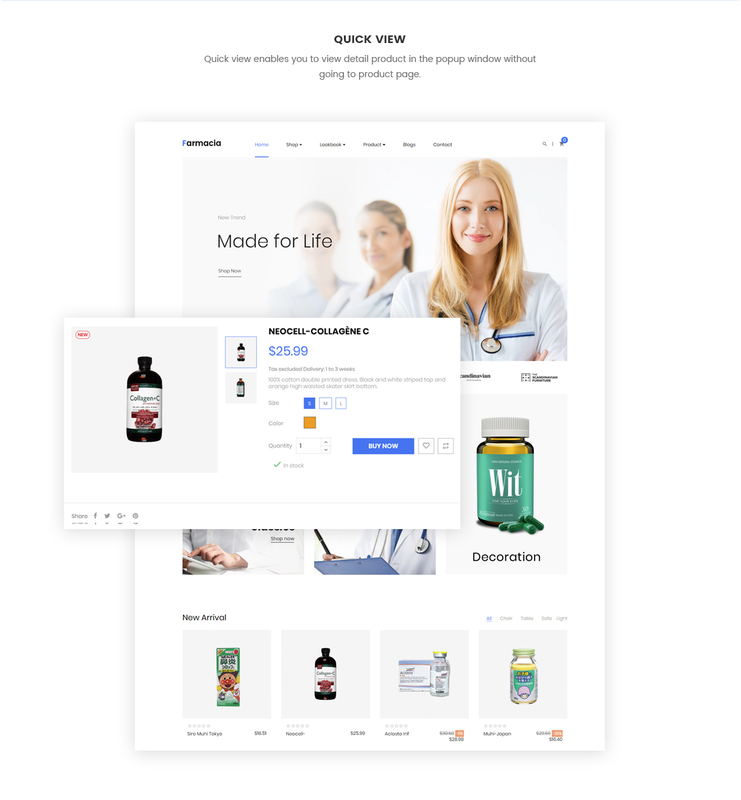 Leo Farmacia is SEO optimized design and codebase to make it perform better. 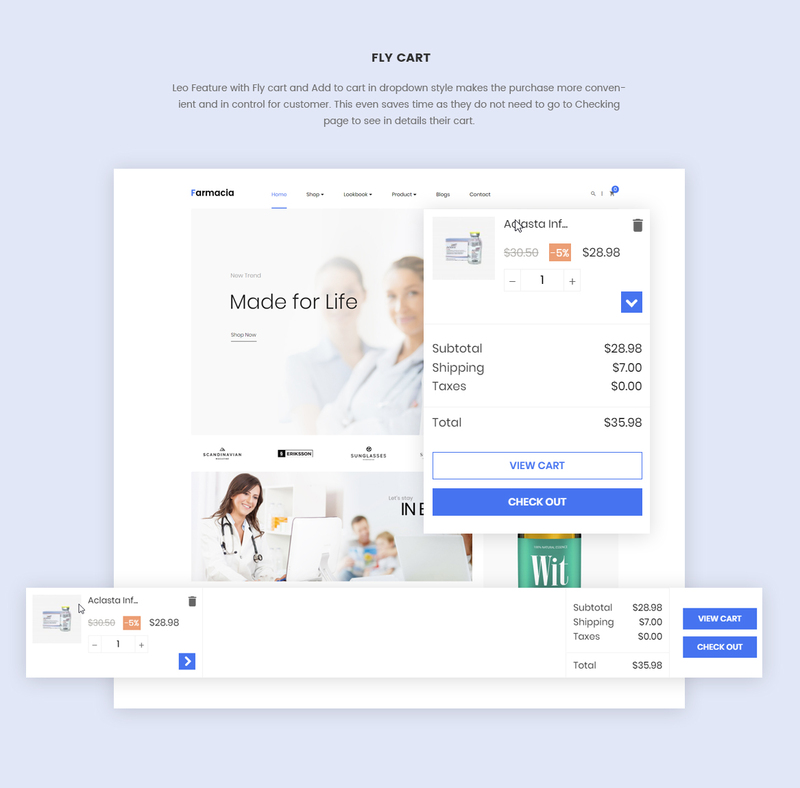 Moreover, the intuitive and user-friendly theme control panel with built-in core features will support you to manage or customize your healthcare website easier. 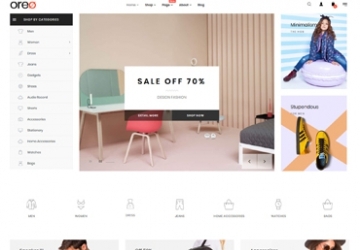 What makes Leo Farmacia Responsive Prestashop Theme special?